Anyone can start a concrete raising business. Highly profitable and proven successful concrete raising is easy. Start your business the way you want to. Request Information. Enjoy easy work and maximum profits. High Profit Margins: Raising settled concrete is typically half the cost of replacement. Materials, time and labor costs associated with repairing settled concrete are significantly less than tearing out concrete and pouring new slabs. High Demand: Look around, there are millions of square feet of settled concrete. Any geography faces the challenge of settled concrete. Low Entry Cost: Typical equipment investments are $25-$50k with higher production equipment up to $150k. Recession Proof: Concrete raising is successful for the the same reasons a consumer fixes their car or home in a struggling economy vs. buying new. 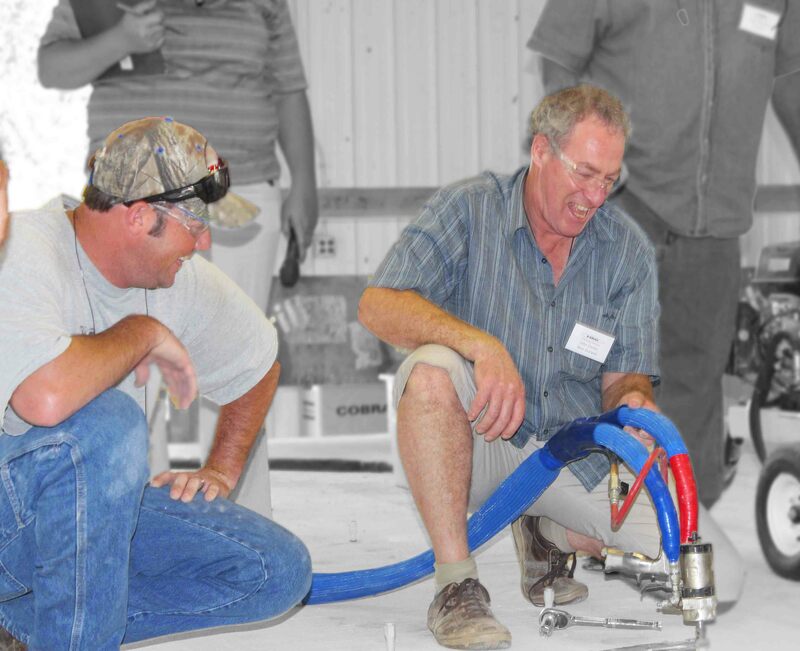 Drill, Pump & Patch: The fundamentals raising and stabilizing concrete are easy to learn. Training: HMI offers 2 day training class to teach the basics and advanced topics including raising ,stabilizing, estimating and the best practices for business operations and marketing. 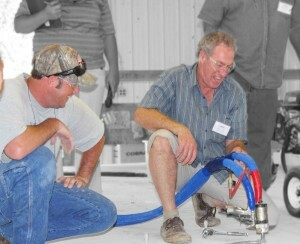 Manuals: All training class attendees receive a ‘How To’ manual covering all the topics discussed during training. Support: HMI is available to all of our customers for job consultation and equipment support. Proven Success: From engineers to architects, plumbers to police officers, successful concrete raising business owners come from many different backgrounds. If you would like to learn more about successful start up businesses your best resource is an HMI customer. Available on request. Systems: HMI systems include all of the equipment you need to start raising concrete. Receive customized quotes based on your level of production or any equipment you already have. Not sure if concrete raising is right for you? Invest $595 in the ultimate test drive. Attend a HMI training seminar to learn everything you need to know before investing and starting your new business. Equipment purchases over $5,000 will receive a $595 credit- Free Training! Call 1-800-626-2464 for more details.